I have a rather cavalier attitude to hybrid Cordylines - probably because they are easy to buy and easy to grow in New Zealand. After a few seasons looking cute and small in a pot my Cordylines are probably glad to escape into the real garden. The trouble is that then I totally forget about them. 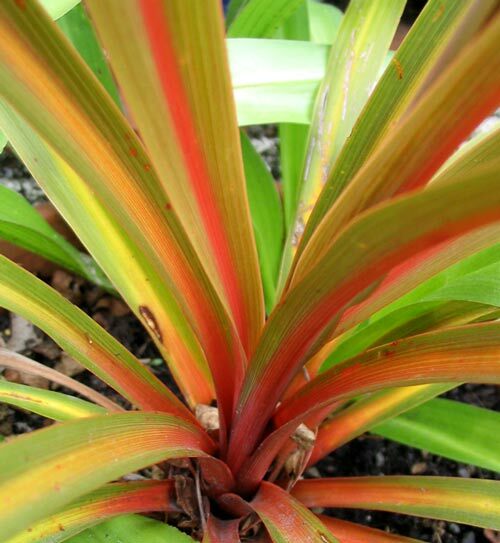 My new red striped Cordyline is supposed to retain the red stripe on its leaves when mature. It should make a change from the hybrid wine-red coloured plants (which are now ex-pots, and scattered all over the garden).